Aircast Cryo/Cuff For Hip/Back with Cooler (Motorized Kit),Perfect for post operation conditions and sports injuries. 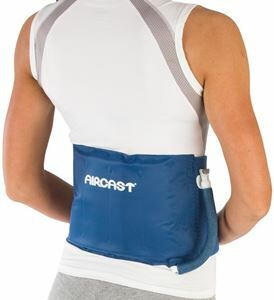 Aircast Cryo/Cuff Hip with IC Cooler system is designed to cover the entire hip completely. It decreases swelling and provides relief from pain. Cooler that is detachable helps in treatment without any interruptions. Aircast Hip/Back Cryo/Cuff can be used alone as Only Cryo/Cuff or with a Motorized or a non Motorized Cooler. Cooler can also be purchased separately by clicking the link below. Did wonders on my hip. I bought this last month and started using it on regular basis. Within 4 days, it pulled down the swelling and I get instant relief from the pain.